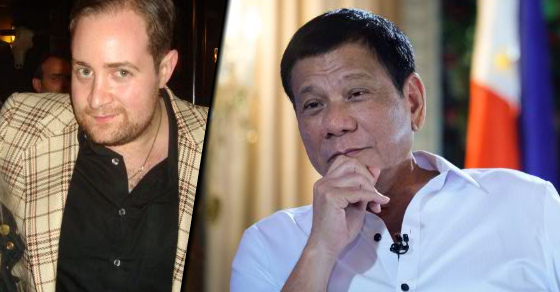 United Kingdom’s Political Analyst Adam Garrie takes that the approval ratings of a leader mirrors but a small percentage of what the populace truly feels, yet we couldn’t deny that in the case of President Rodrigo Duterte, this small percentage represents how the entire population feels. At 80%, Duterte has achieved the highest approval rating when in contrast to the four predecessor presidents of the Philippines. When compared to European, American, German and French surveys, the approval ratings are 27%, 42%, 39% and 28% respectively. Numbers that speak for themselves. Yet still the western countries are trying to derail the Filipino presidents’ progress after the Philippines started economically drifting away from our past “beneficiaries” while beginning to embrace our neighboring countries through new economic partnerships. This economic polygamy diversifies and stabilizes the Philippine economy through a number of multiple channels. Which as Garrie stated strikes deep into the hearts of the monistic yellows who’ve ironically abandoned thoughts of “liberation” in order to promote stagnation in the Philippines. Free weapons have been received from Russia, one step away from our traditional western security partnerships on NATO. Drugs have almost been eradicated in the Philippines due to Duterte’s endeavors to create a safe and productive environment for Filipinos, factors that contributed to setting the Philippines as the top country to invest in the world. “Simultaneous to cleaning up the streets and opening the country for business, Duterte has diversified the internal market in The Philippines, making old oligarchs less powerful, while tax reforms look to put the economic future of the country in the hands of local businessmen and entrepreneurs as well as their international partners,” Garrie elaborated. And still after all of Duterte’s political genius, economic by passes and love for his people, western slander still exists. Apparently he is misunderstood by the skeptics of the western world for his non-alignment, multipolarity and political indecisiveness contradicts the traditional Left and Right of the western political hipsters. The president of the Philippines is living in the 21st century while his critics are still stuck in the 20th century. Modern Asian leaders cannot obtain the respect that they deserve for traditionalists judge them based on outdated criteria of a theory that never was successful to start with. That is why leaders like Vladimir Putin, former Singaporean Prime Minister Lee Kuan Yew or Chinese reformer Deng Xiaoping are an exception to this dogmatic politics. Garrie argues that in light of the existence of the far-left New People’s Army, the benefits that their Maoist system can bring in the 21st century is totally absurd. When “the 21st century is an age of mixed systems and multipolarities.” Dogmas of the 20th century are well defined failures, theories that are inapplicable to the current needs of this age and time. Critics never rest, they expect every character in the world to only be two-dimensional. And they’ve found another front to shame the Philippine President on grounds of inconsistency with the United States. Why isn’t Duterte tough enough on the US? Well it is all due to his economic genius, why throw away the benefits of conducting business with the west? When in reality, as long as there is no underlying agreement based upon the conditions that would bring mutually beneficial development, then the countries are free to trade for as much as they want. It isn’t the zero-sum ideology of a country itself that Duterte finds unappealing, it’s the attitude that the US, Canada and the EU exposed. The biggest lesson that we can get from Garrie’s defense would be that living in a fantasy world clearly destroys reality. Theories stay as theories for a flaw in its creation makes it inapplicable to real life, but men like Duterte tackle reality as it has to be dealt with.